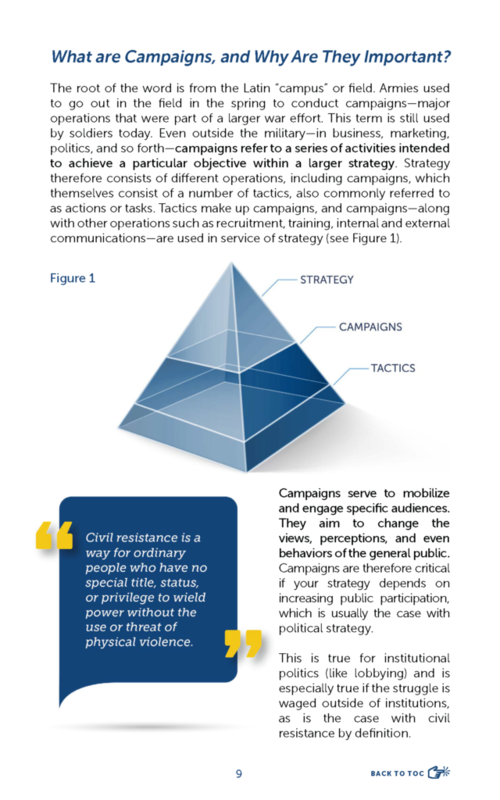 The Path of Most Resistance: A Step-by-Step Guide to Planning Nonviolent Campaigns is a practical guide for activists and organizers of all levels, who wish to grow their nonviolent resistance activities into a more strategic, fixed-term campaign. 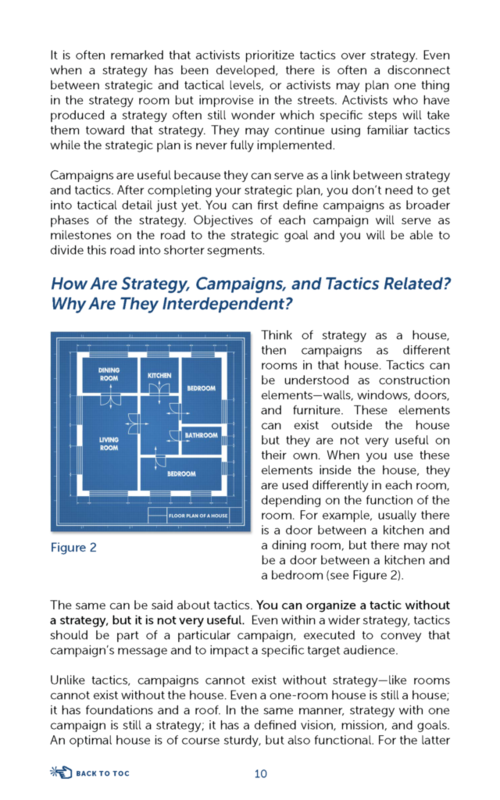 It guides readers through the campaign planning process, breaking it down into several steps and providing tools and exercises for each step. 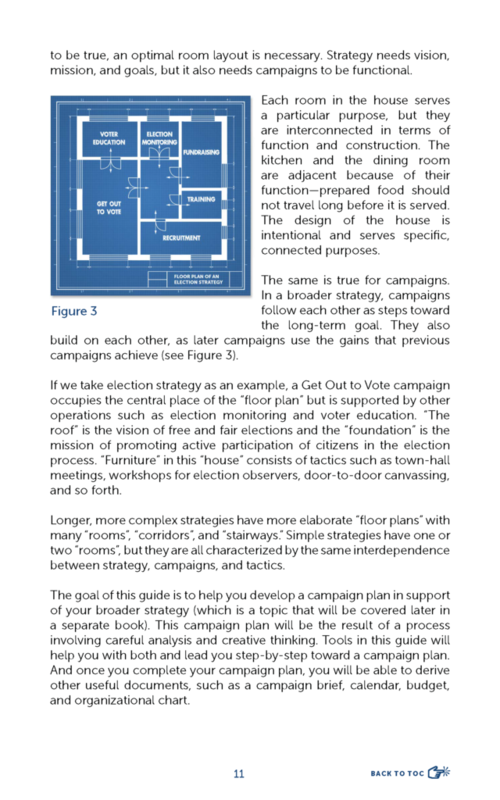 Upon finishing the book, readers will have what they need to guide their peers through the process of planning a campaign. This process, as laid out in the guide, is estimated to take about 12 hours from start to finish. The guide is divided into two parts. 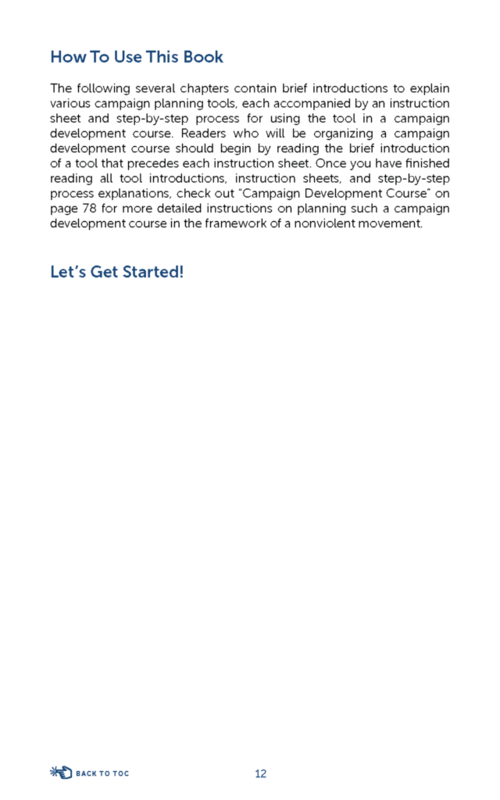 The first lays out and contextualizes campaign planning tools and their objectives. 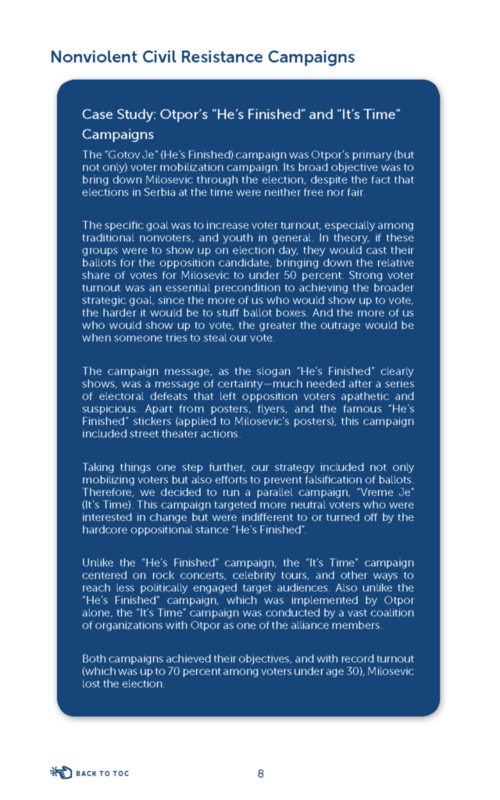 It also explains the logic behind these tools, and how they can be modified to better suit a particular group’s context. The second part provides easily reproducible and shareable lesson plans for using each of those tools, and explores how to embed the tools in the wider planning process.